The Chief of Navy Australia is the most senior appointment in the Royal Australian Navy. The rank associated with the position is Vice Admiral (3-star). The Chief of Navy Australia (CN) has overall command of the RAN and all uniformed naval personnel, regardless of where they work in Defence. 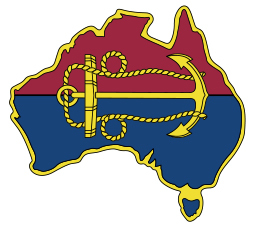 Additionally, the Chief of Navy Australia is the principal naval adviser on strategic affairs and provides advice to the Chief of the Defence Force (CDF) on current capability, military affairs and future capability development; and also represents the RAN on various higher defence committees. Providing timely and accurate advice to the government on strategic direction and military capability of both the current and future force. Warrant Officer of the Navy (WO-N). Vice Admiral Michael Noonan, AO, RAN assumed command of the Royal Australian Navy on 7 July 2018. Public speeches given by the Chief Of Navy Australia are available in either HTML or PDF format.